A life strategy guide for Athletes. Behind every winning season is a wise strategy—that holds true whether your athletes are on or off the field. 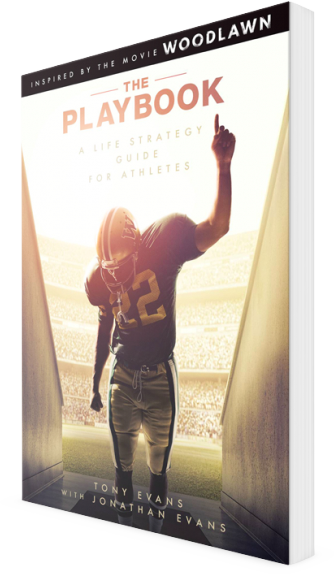 In The Playbook, Tony Evans teams up with his son Jonathan (chaplain to the Dallas Cowboys) to equip athletes with 16 character building keys that have been proven to gain victories in their lives. Coaches can use this comprehensive and easy to use life guide to build integrity, responsibility, teamwork, resilience, and more in their athletes. Take a look inside The Playbook. GET YOUR COPY OF THE PLAYBOOK TODAY!